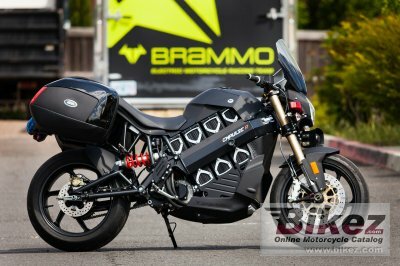 2014 Brammo Empulse LE. Picture credits - Brammo. Submit more pictures. The Empulse LE is ideal for deployments where the low sound profile is important, whether it be for tactical or customer service considerations. The lack of emissions allows for the Empulse LE to be used both for outdoor and indoor assignments and in sensitive environments. Carrying capacity: Optional saddle bags and top trunk. Ask questions Join the 14 Brammo Empulse LE discussion group or the general Brammo discussion group.